When it comes to gas prices, what goes down inevitably creeps back up again. Fuel prices have recently been edging higher and are expected to climb further in 2017, according to price tracker GasBuddy. Fortunately, you can fight back by being a bit more strategic about when, where and how you fill 'er up. 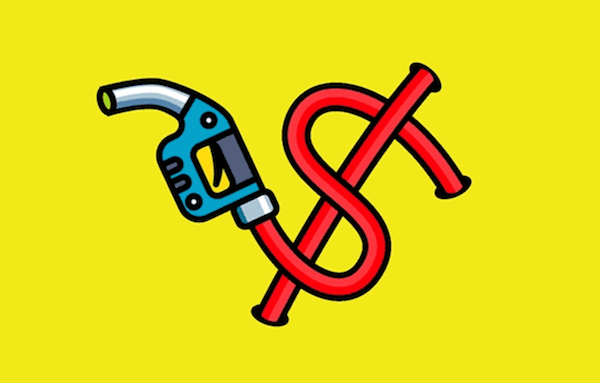 While many of us know some of the basics of good fuel economy-like keeping your tires properly inflated, staying up on car maintenance, ditching excess cargo-adopting these lesser-known gas- (and cash-) saving strategies won't hurt. Wednesday is typically the best day to fill up for less, says automotive expert Lauren Fix. "Prices tend to rise on Thursdays in anticipation of weekend travel," she explains. In fact, a recent study by the St. Louis Federal Reserve found that refueling on a Tuesday or Wednesday instead of the weekend saved 8 cents to 9 cents a gallon-saving you more than $60 per year. It also pays to fill up early. "Station owners tend to hike prices after 9 a.m. or so, once they've had time to check the competition." That extra squeeze may round out your purchase price, but it's also likely to splash out or evaporate, along with your hard-earned cash, notes Fix. Stop pumping when you hear the first click. Remember to screw the gas cap back until it clicks, too, so none of your fuel escapes as fumes. "About 17 percent of vehicles on the road have loose, damaged or missing gas caps, causing 147 million gallons of gas to vaporize every year," says Fix. If you must charge it, consider getting a card that rewards you for buying gas. Meanwhile, see if the station you visit the most offers a rewards or loyalty card. Some grocery store loyalty programs also offer gas rewards-you earn points buying groceries, then redeem for gas. Or check out gift-card resale sites. You may be able to score a gas card worth say $100 for $90, yielding $10 in free gas. Whether you're picking up a slowpoke or waiting at the drive-through, turn off the engine if your wait is longer than 10 seconds. Idling drains your tank by a quarter- to a half-gallon of fuel per hour, whereas restarting only sips 10 seconds worth of gas, according to the U.S. Department of Energy. Even in winter, there's no need to sit in your driveway "warming up" the engine. Most manufacturers recommend driving off gently after half a minute. Let your fingers do the driving. No more wasting fuel driving around in search of the lowest price. Log on to GEICO's gas station locator before you leave to pinpoint the best deals along your route, or access it on the go from the GEICO Mobile app to see real-time prices nearby. Want to cut the cost of car ownership even more? Find out how much cash you could stash just by switching car insurance. Get a fast free auto insurance quote from GEICO.